There are a few designers who just have a knack for creating sweet floral prints, and Nadra Ridgeway of Ellis & Higgs is one of them. I want a whole bouquet of her flowers on fabric! 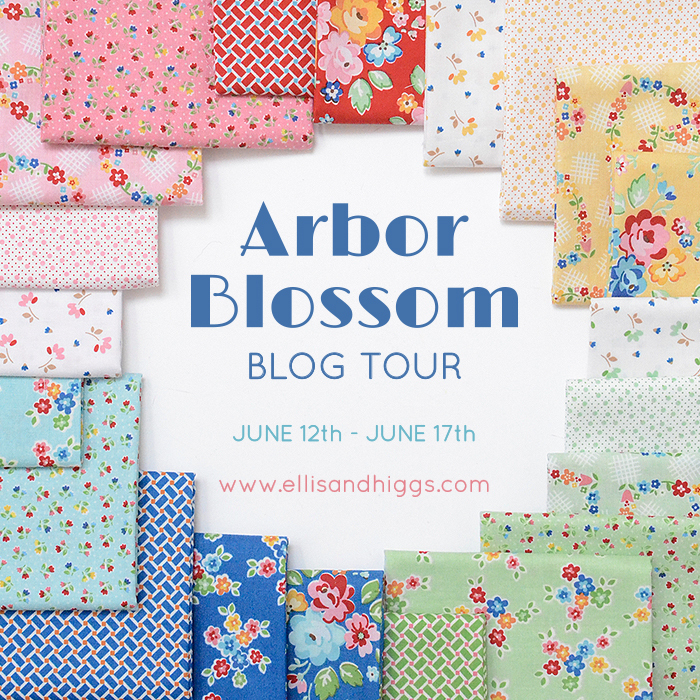 Her new collection Arbor Blossom is just as lovely as her previous two lines, and I really enjoyed turning these prints into a simple patchwork pillow using a traditional hourglass block. 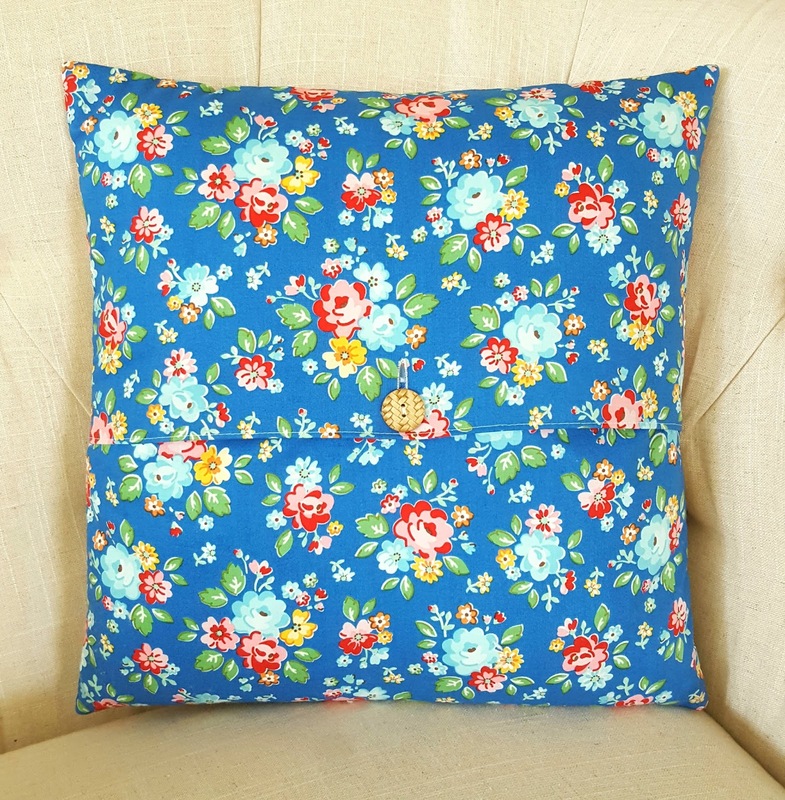 The pillow feels so vintage to me. I tried to pair similar colors in each block within both the feature and background prints. 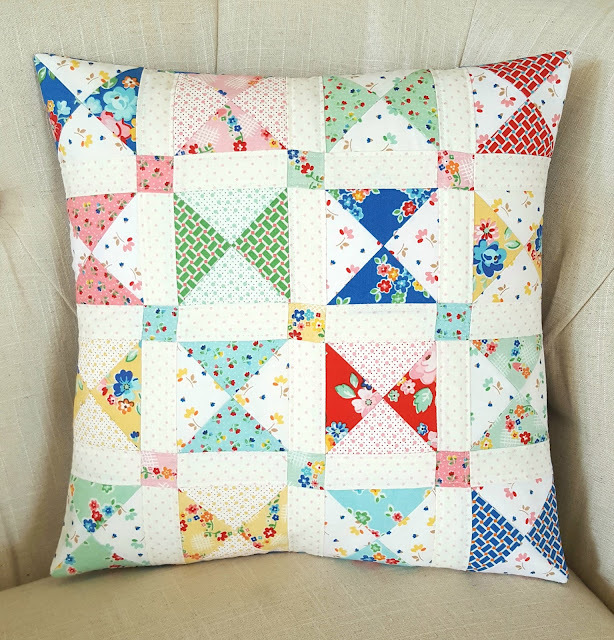 The white borders and colorful cornerstones let the blocks stand out a bit within the pillow top. My favorite print in the whole collection is this blue floral -- so lovely! 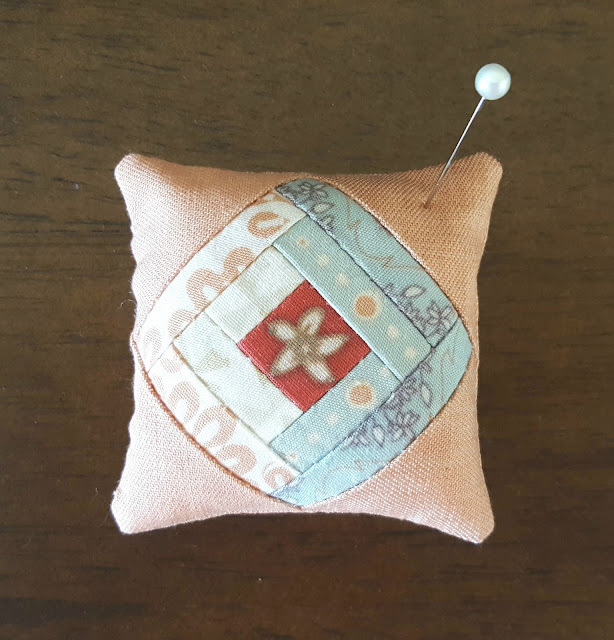 I tried making my first button closure for the envelope backing, and I love the way it turned out. 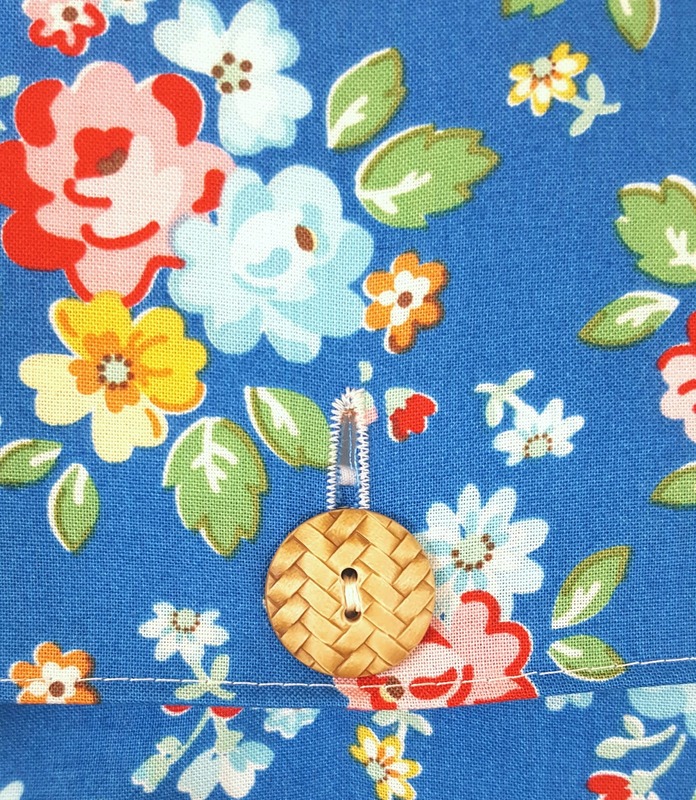 The faux weave on the button surface makes me think of lattices and wicker furniture, playing nicely with the Arbor Blossom theme. 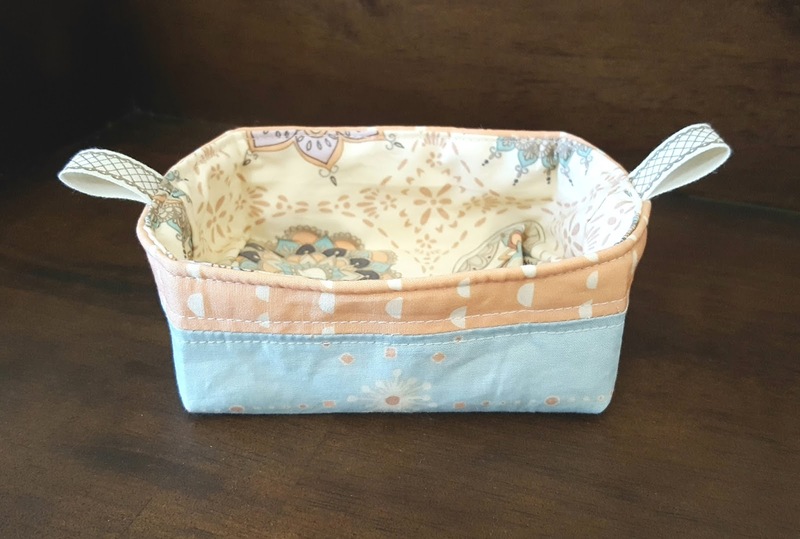 Last month I had the chance to make a few small projects for my friend Maureen's booth for Quilt Market using her new Soulful collection which is just starting to hit stores now. Maureen is the queen of bohemian chic, and this collection proves it. Her designs are organic and lovely and remind me of exotic destinations. 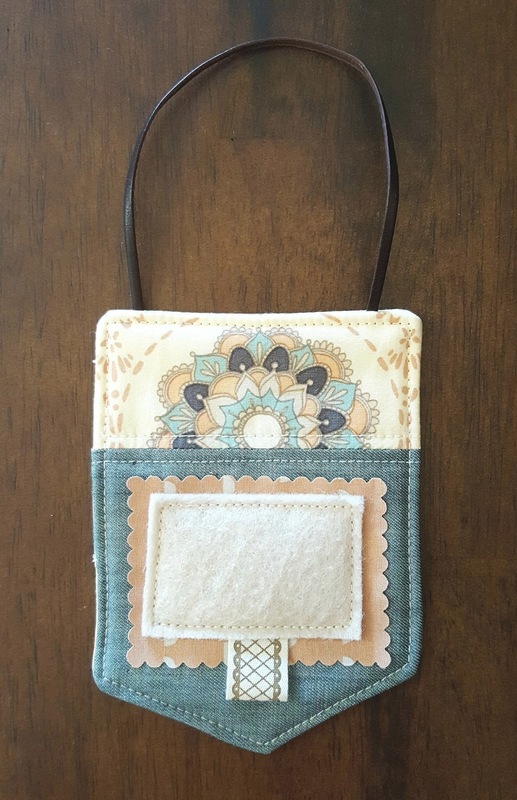 The coin pouch above is probably my favorite sample. 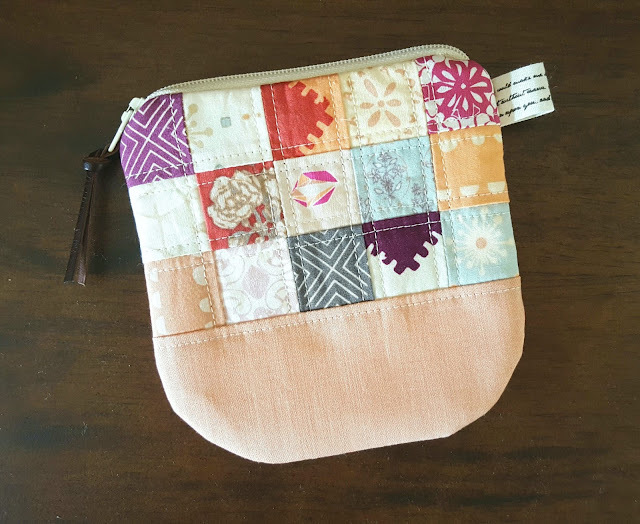 Those patchwork squares finish at 1", and I love the rounded edges on the bottom corners. 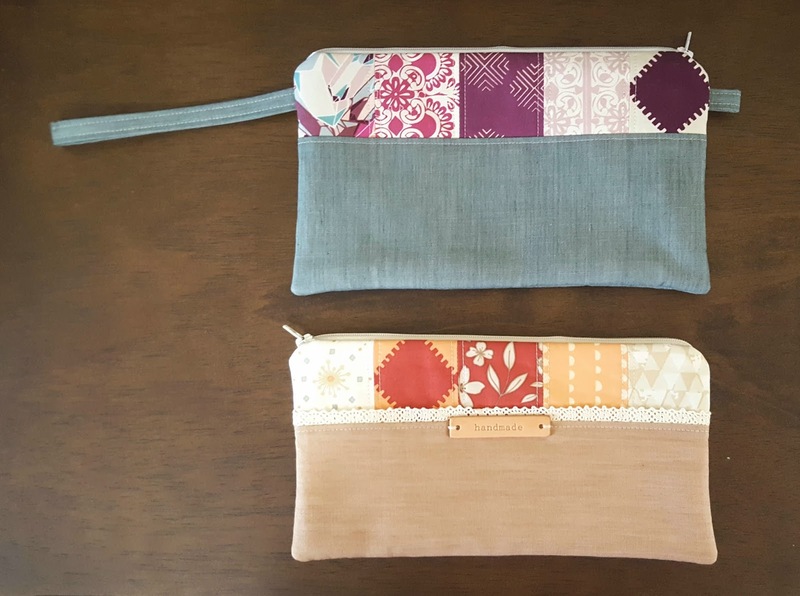 Two larger zipper pouches show off more patchwork. I love pairing the quilting cottons with AGF denim. This log cabin block makes a sweet tiny pincushion. 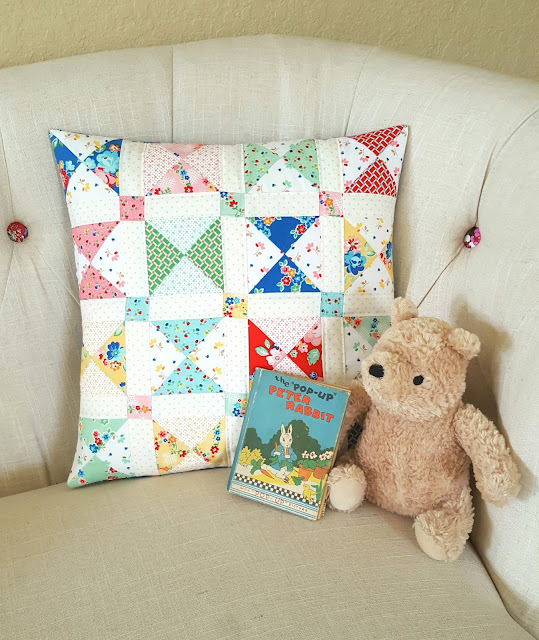 For my last two projects, I used a few of my own tutorials. Pixie Baskets are always handy. And I loved featuring one of Maureen's global inspired prints at the top of this Pinnie Pennant. Instead of twine or string, I used leather cord for the loop at the top which felt like a good match with these prints. Soulful seems like just the thing for summer sewing. Be sure to check out the whole collection here!